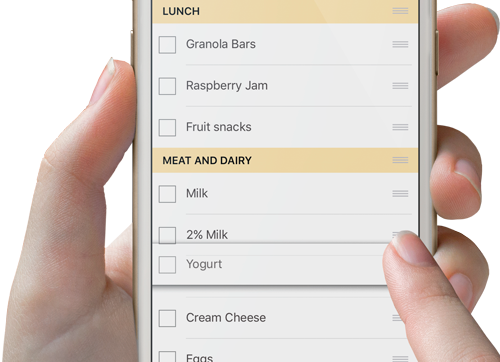 Cozi lets the family manage shopping lists from any computer or mobile device. Everyone sees the same lists, and you can access any list from your mobile phone when you’re in the store. To create categories within a list, type the category header using all capital letters. 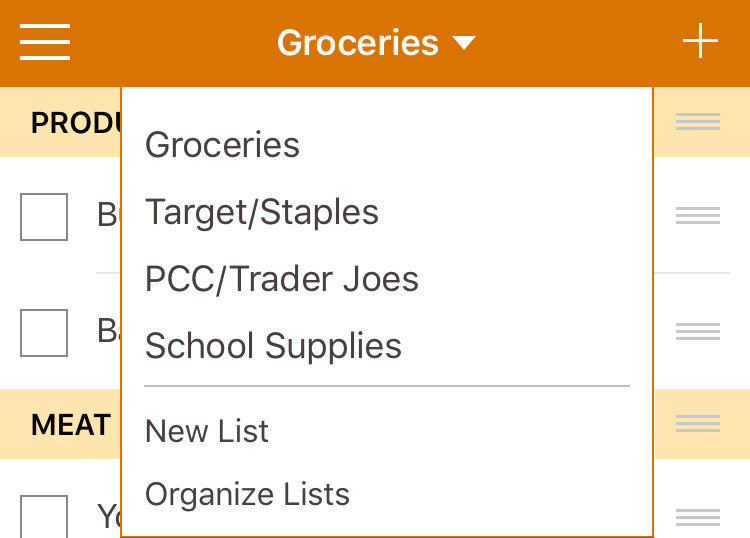 For example, if you would like to organize your shopping list by type of food, you could add categories like PRODUCE or DAIRY. To keep a master list of frequently purchased items, check off items you don’t need to purchase in a particular shopping trip, then uncheck to add items back to the list. To create a new list, click Lists at the top of the Shopping page, then click New List. To rename a list, click the list’s name at the top of the page (say, “Wholesale”), and then type a new name. 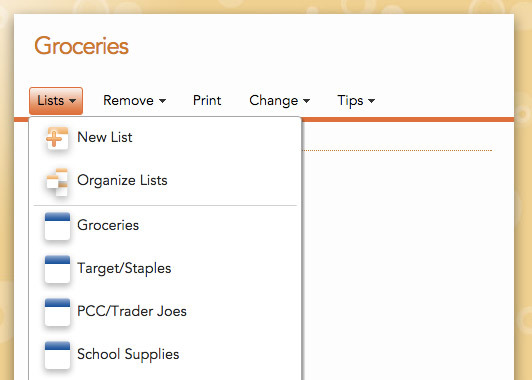 To change the order lists appear, click Change at the top of the list, then Organize Shopping Lists. 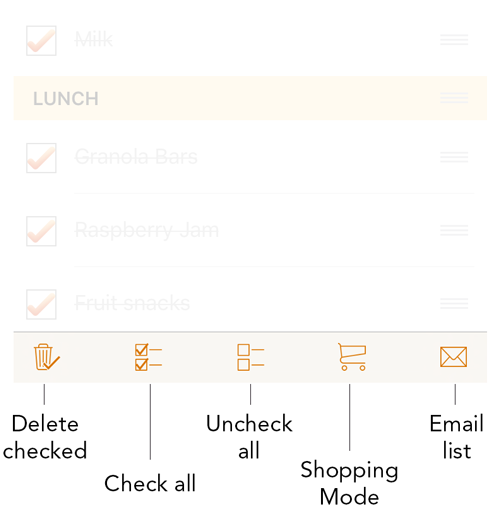 On the Organize your lists page, drag a list and drop it in the desired order. The first list will appear on your homepage. To create a new list, tap the + on the top right of the screen.